Our Terms and Conditions Are Really Important. We would like you to read our T's and C's because they are not designed to trap you, in fact quite the opposite. 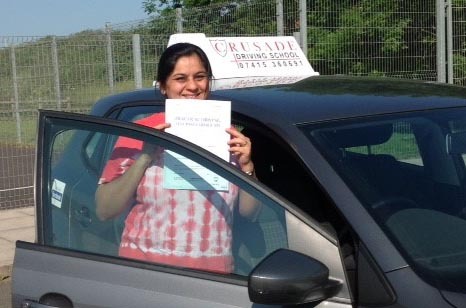 We have surveyed many learner drivers who have joined CRUSADE Driving School after leaving another school, we ask "Why change school?" 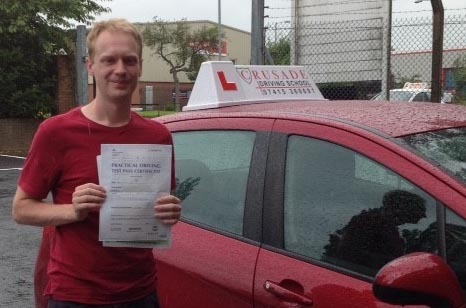 It appears that many driving schools have a churn and burn process and seldom care for their customers, this is probably why CRUSADE Driving School is so popular. It's not just that we have good pass rates but we treat you the customer in a way we would like to be treated ourselves. You will be respected, treated as an equal and you will never witness any shouting or behaviour you would prefer not to be on the receiving end of. Please take your time and read our very positive Terms and Conditions; we are sure you will appreciate them. Prices and Packages are subject to change, 1 months notice will be given before any change however any increase in prices will not affect packages that have already been purchased. Our lesson base rate is £30 per hour however all our lessons are a minimum of 2 hours. All lessons booked with the instructor must be paid in full unless a full 48 hours notice of cancellation is given. This cancellation policy will be enforced without exception. At least one standard 2 hour lesson must be kept in credit at all times. After your test you can use the money towards a 2 hour motorway lesson, your next 2 hour lesson (if you don’t pass) or you can choose to have it refunded. 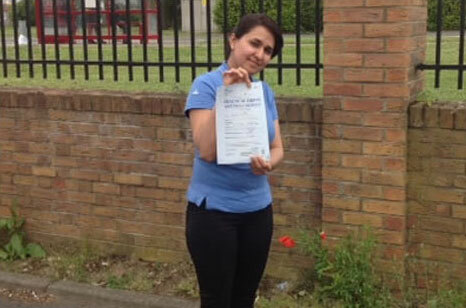 All students must hold a current and valid driving license. 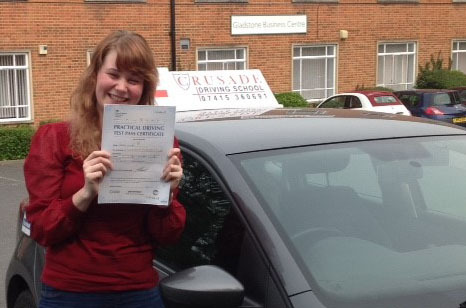 A provisional, full or international license must be produced in advance at the start of your first driving lesson. All students must have their license with them for all driving lessons. You must inform your instructor immediately of any pending endorsements or of any endorsements received during the period of receiving tuition. You must be fit to drive with regard to legal and medical requirements (including but not limited to alcohol, legal and non-legal drugs). Our instructors reserve the right to cancel a lesson at short notice if it is suspected the student may be unfit to drive due to the effects of alcohol, legal or non-legal drugs. In such circumstances the lesson fee is still payable. No other person will be in the car during your lesson unless you have requested or agreed to it. You will be contacted if the instructor will be late (if the instructor is late the time will be made up at the end of the lesson or when mutually convenient to both parties). In the event of a problem with the tuition vehicle, breakdown etc any lost lesson time will be made up when mutually convenient to both parties. The instructor will never shout, swear or use demeaning language towards you or anyone else. The instructor will never touch you unless it is to control the car in an emergency. If the instructor needs petrol you will be shown how to refuel the car and have 5 minutes added to your lesson. The instructor will not make or receive phone calls or text messages during your lesson. The instructor will not smoke during the lesson and the car will not smell smokey or unpleasant. The instructor will not eat during your lesson. Each of your lessons will be tailored to your needs using our copyrighted Training Programme with mutually agreed goals for that lesson and the progress marked in your Pupil Record Log. The instructor will pay you £10 in cash for every pupil you refer to them, once they have had their first full price lesson (this is an ongoing offer and does not expire when you pass your test). In cases of bad weather the instructor will put safety first and it will be their decision whether the lesson takes place. Before you take your practical test you will have taken a mock test. Final decision of test readiness is the instructors alone and non negotiable. You will have taken and passed a mock test. Assessment of test readiness is in no way a guarantee of a test pass. 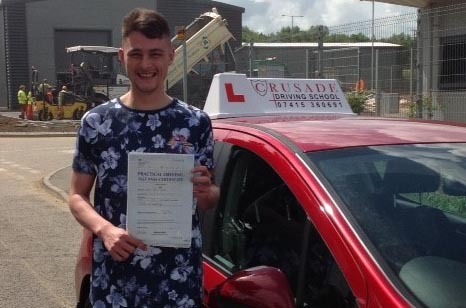 Should you not pass your practical test first time your instructor will pay for your second test (subject to our triple guarantee terms and conditions). You may on occasion receive a call from Trevor Conway for quality control purposes. 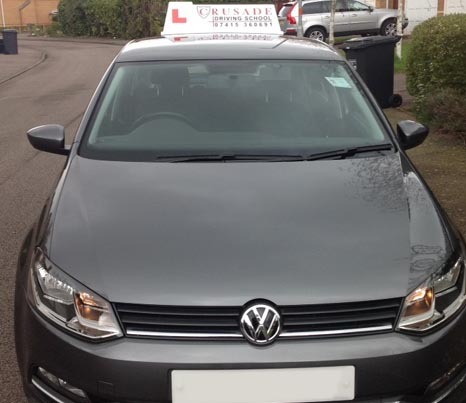 Your instructor is a self employed franchisee and as such the pupils contract is with the instructor and not CRUSADE Driving School. In the event of any dispute the pupils first point of contact should be their instructor. If the dispute cannot be resolved amicably CRUSADE Driving School will mediate and their decision is final. Payment to be completed at least 48 hours prior to first lesson. 6 hours will be used for 3 x 2 hour lessons. 4 hours will be held on reserve 2 hours for your actual driving test and 2 hours for a lesson which is to be taken up to 48 hours prior to your driving test. Standard lesson prices or packages are to be paid for any additonal lessons you take. Offer only available for new customers. No refunds available after securing your booking. 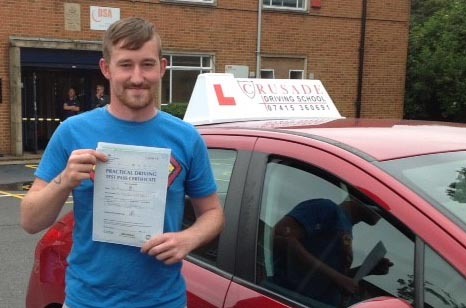 Suitability to book and take your driving test must be agreed with your driving instructor prior to booking it.